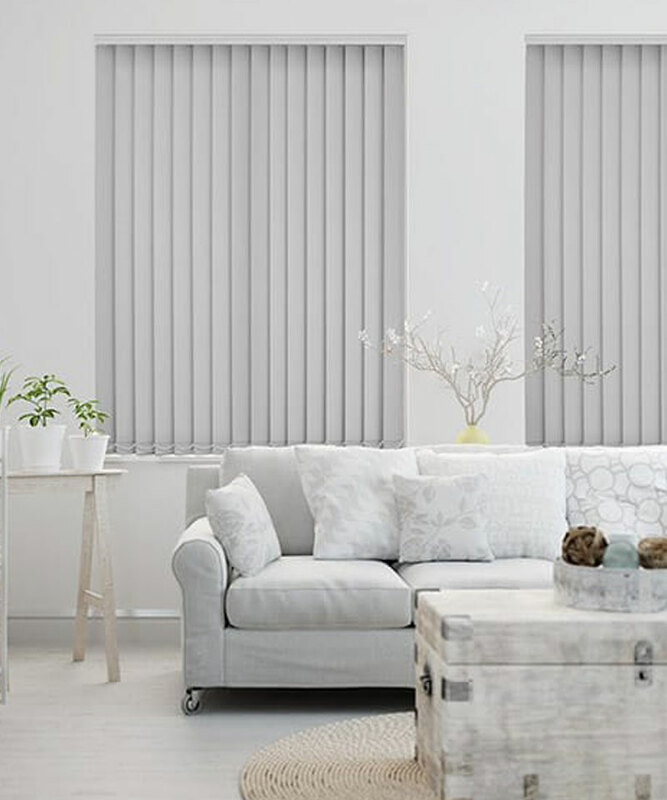 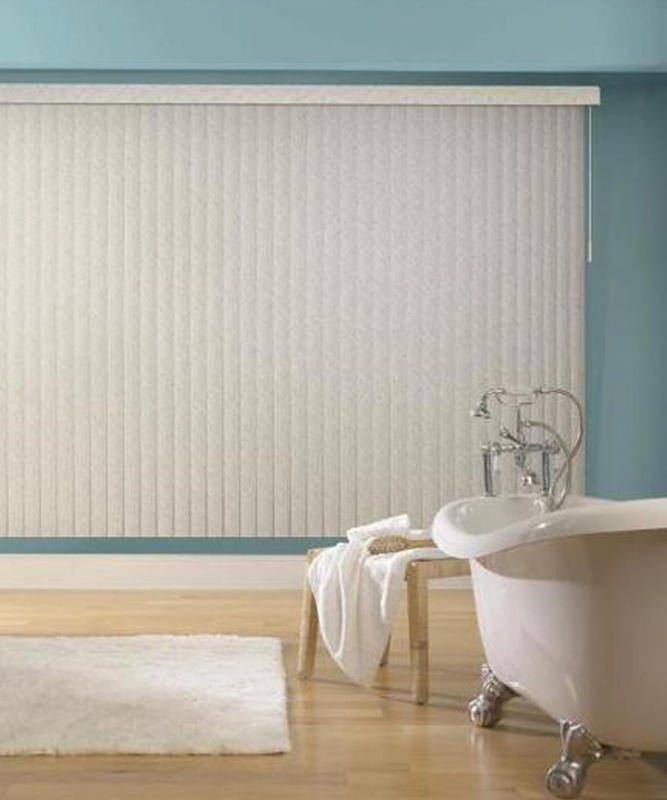 Vertical Blinds are easy to use and a sleek and simple option for any window or patio door dimension. 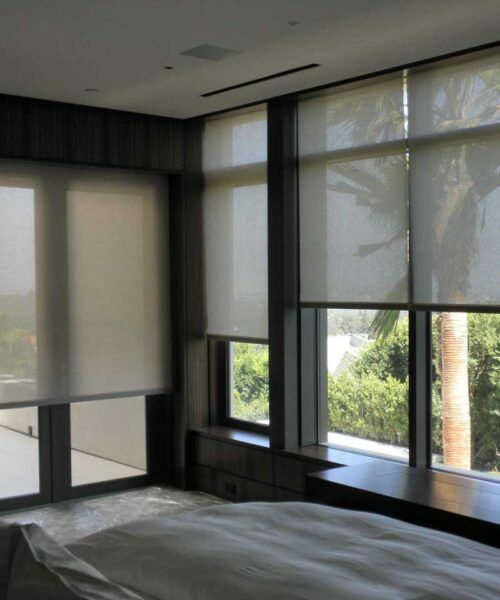 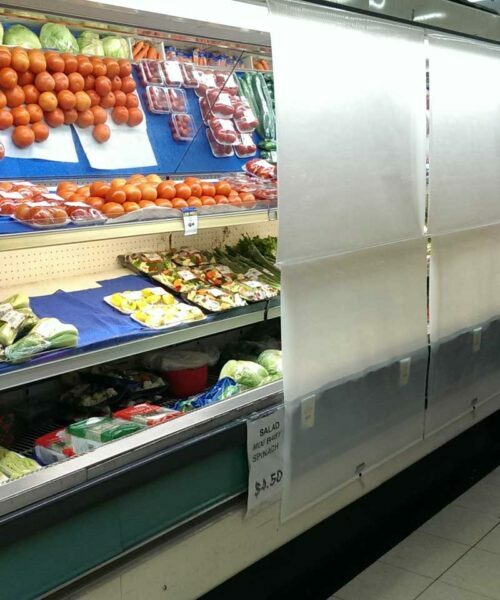 They allow perfect light control or privacy as the vertical louvres/blades can be rotated through 180 degrees by a simple chain operation until the perfect result is achieved. 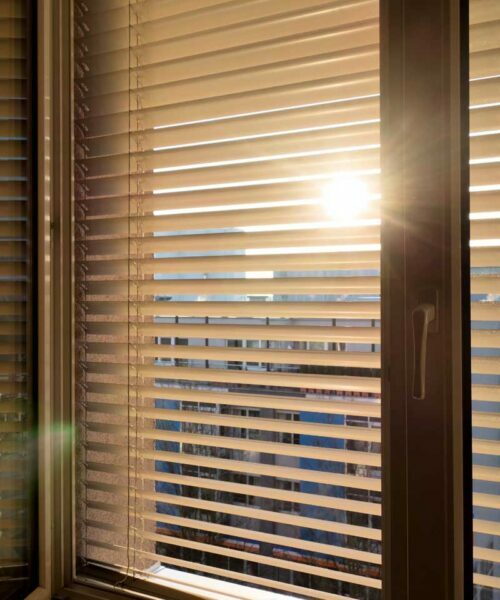 These blinds can also be neatly drawn/stacked to one side to expose the full view outside by, yet again, an easy cord control. 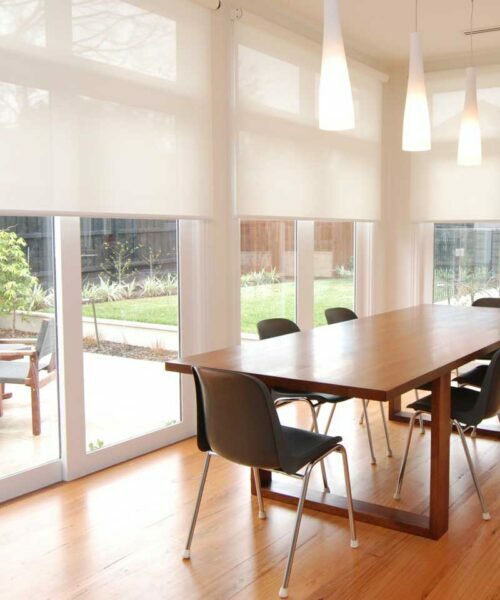 Vertical louvre blades are available in 90mm and 127mm width and in a huge variety of textures and finishes ranging from jacquards, block outs, screen fabrics, translucent and plain contemporary colours. While our vertical headrails are normally available in plain aluminium or white powder coated finish, other powder coating colours are available on request. 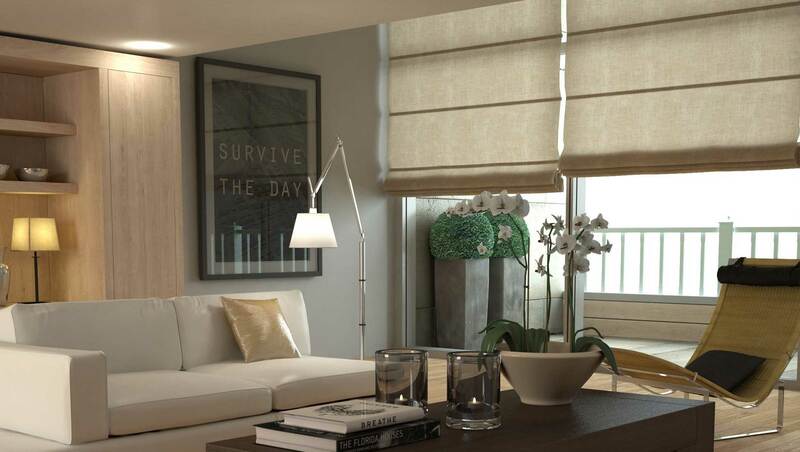 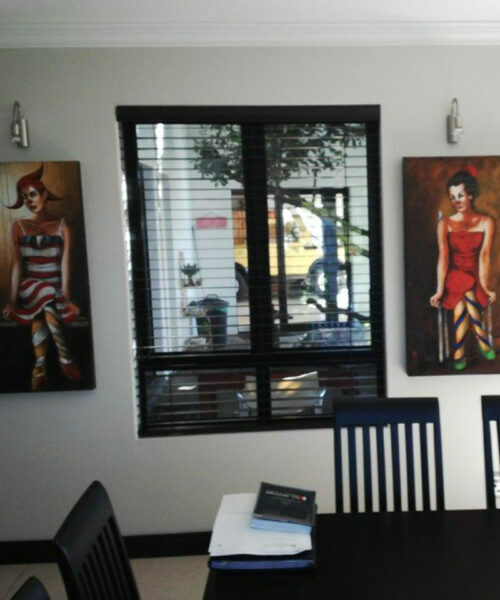 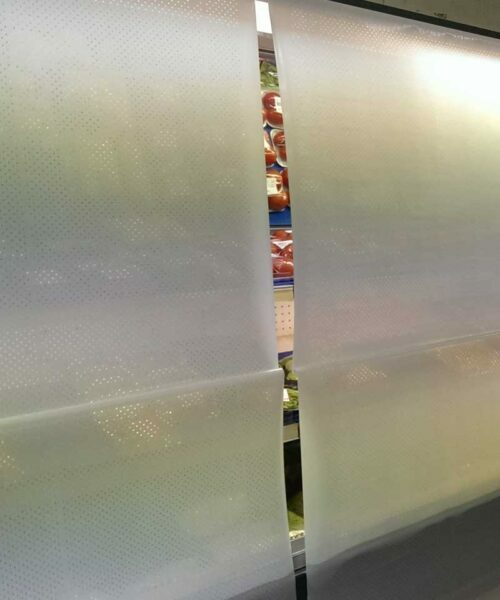 Our vertical blinds are manufactured to order.